A series of development projects have been planned by the government to give a tourism boost to the picturesque Andaman and Nicobar Islands to make them a major tourist attraction like Maldives and Mauritius. Key projects for the all-round development of the Andamans include premium tents and tree houses, mangrove interpretation centre, turtle observatory centre, island hopping facility, beach shacks and sunrise points, premium island resorts, beach promenade, nature trail and camping facility besides other infrastructure. These projects are expected to bring in investments of more than Rs 650 crore and have in-built condition of 60 per cent local employment, a Home ministry official said. The Andamans is world renowned for its pristine natural beauty, rich marine life, flora and fauna spread over 836 islands, islets and rocks. The islands present picturesque views with rich culture and heritage. "The pristine water with world class beaches and shallow reefs are a major attraction for tourists. Our aim is to make Andamans an attractive tourists destination similar to Maldives and Mauritius," the official said. Paving the way for 'Ease of Tourism', 30 islands have already been exempted from the Restricted Area Permit (RAP) regime and requirement of mandatory registration of foreigners arriving in the archipelago within 24 hours of their entry has also been done away with. The water-sport industry has been given a big boost and water-sport regulations and guidelines have been simplified, duly considering the safety aspect of users while honouring operator's interest. The islands have witnessed an increase in number of licenced diving centres, whereas adventure products like sea walk and para sailing have been newly introduced. The bed and breakfast scheme has enrolled 40 home stays, 121 tour operators have been registered since 2014 and a state-of-art sound and light show facility has been installed at the Netaji Subhash Chandra Bose Island. Floating jetties have been installed at various tourism islands and orchid, butterfly gardens are being developed to attract nature lovers. During 2014-18, tourist arrivals have increased from 3.11 lakh to 5.13 lakh, an increase of 65 per cent, hotel accommodation has doubled, which is more than 7,000 at present and more than 100 small size Fibre Reinforced Plastic (FRP) tourist boats and 1,000 tourist cabs have been added over the period. A total of 94 per cent area in Andamans comprise rich forests, mangroves that house endemic birds, wildlife and tropical rain forest. "Tourism has emerged as the primary economic growth driver for the islands after careful deliberation of their social fabric, environment sensibilities and development potential," another official said. 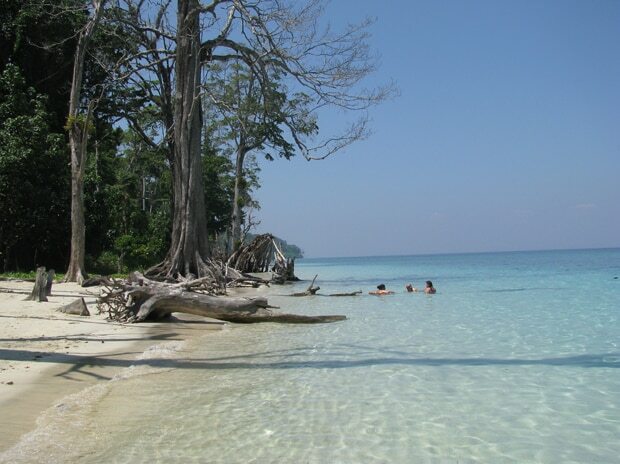 According to the data available with the Union Home Ministry, more than 16 lakh tourists have visited the Andaman and Nicobar Islands from 2015 till 2018 to see the natural beauty, beaches, flora and fauna and historically-significant landmarks in around 38 inhabited islands out of the 836 islands, islets and rocks. The archipelago has received about 5.13 lakh tourists, including over 20,000 foreigners in 2018 while it received 4,87,229 tourists, including 15,310 foreigners, in 2017. In 2016, as many as 4,00,019 tourists, including 15,467 foreigners, had visited the Andamans and in 2015, a total of 3,11,358 tourists, including 14,674 foreigners, had gone to the Union Territory, the data said. The Andaman and Nicobar Islands comes under the administrative control of the Home Ministry. The Andamans was in news last year in the wake of killing of John Allen Chau, 27, by members of the reclusive Sentinelese tribe in North Sentinel Island. The archipelago has been inhabited for several thousand years, at the very least. The earlier archaeological evidence goes back some 2,200 years; however, the indications from genetic, cultural and linguistic isolation studies point to habitation going back 30,000 60,000 years, well into the Middle Palaeolithic, according to the Andaman and Nicobar Islands Tourism Department.